blinc Eyebrow Mousse fills in sparse areas to create the perfect brow line that cannot fade, run, or smudge, even if you sweat or wear it in harsh weather conditions. Get ready for beautiful, face-framing brow color that lasts all day long, unlike traditional eyebrow products that disappear half way through your busy day. In addition to the unparalleled hold of blinc Eyebrow Mousse, the innovative product also contains a peptide to moisturize and provide anti-aging treatment to the skin beneath your brow. Not only will you have perfectly colored brows, but you will also be treating your skin at the same time. 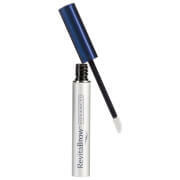 Provides natural-looking, water-resistant color to brows. 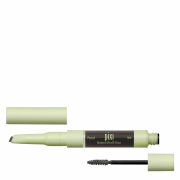 Moisturizes and keeps brows from becoming dry and brittle. Treats underlying skin with anti-aging benefits. Stays on even if you sweat or wear it in harsh weather conditions. To Apply:Use the wand applicator and gently sweep the wand across the brow line in short strokes to give the appearance of natural hairs. This will allow you to determine the desired thickness or thinness of the brow. Apply additional coats for deeper color. To remove:Easy to remove with any gentle makeup remover. Isododecone, Quaternium 18 Hectorite, Trimethylsiloxysilicate, Talc, Ethylene/Propylene/Styrene Copolymer, Propylene Carbonate, Dimethicone, Butylene/Ethylene/Styrene Copolymer, O Cymen 5 OL, Methylisothiazolinone, Triticum Vulgare Germ Oil (Wheat), Tocopheryl Acetate, C4 24 Alkyl Dimethicone/Divinyldimethicone Crosspolymer/Isodecyl Isononanoate, Phytantriol, Mica, Silica, Polydiethyleneglycol Adipate/IPDI Copolymer, Ethoxydiglycol, Peat Extract, Palmitoyl Hexapeptide 14, Gold, Water, Titanium Dioxide (CI 77891), Iron Oxides (CI 77499, 77492, 77491). Lasting and light brunette is a perfect color for me. Produces a natural look and removes easily with soap and a water. Sorry folks, can't recommend this one. The product does apply well and easily, but after just a few days of use both of my eyebrows broke out in the most horrid rash I have ever gotten from a beauty product!And, while my skin can be on the sensitive side, it has NEVER broken out in a rash like that from anything. Itchy, scaly, scabby - oy, was it awful!I discontinued use and the rash cleared up within a few days. Thank goodness I wasn't left with any scarring (yes, it was THAT bad).So nope, you won't see me telling anyone to use this product EVER. This is one of the best products I have ever purchased for my eyebrows! My skin tends to be oily. After applying this product neither sweat nor oil removes or smudges this. 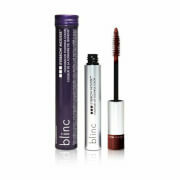 With my thinning and graying eyebrows this is the perfect product!After trying this product, my niece now uses it too! My hair is brunette with blonde highlights, so I was torn between the light brunette and the dark blonde. Opted for the light brunette, and applied very lightly, in short upward strokes, am pleased with the way this brow mascara enhances my thinning brows. To finish off and smooth them, I like to brush with a dry eyebrow brush (on the end of Billion Dollar Brows brush). It is waterproof, and does not come off when I cleanse with M.D. Forte Glycolic Cleanser...need to use an eye makeup remover. A total necessity for skimpy brows for addingcolor - but the best is you brush your brows upwhich also give a lifting effect to your eyes.In my case I had a bad experience with permanent brows and the color on one browfaced to red (I was devasted with the result)When I covered it with pencil it looked like mud -with eyebrow mouse it covers more naturally -a good blend - and along with other hairs beingbrushed up - the look is good. It took me a which to master it - but certainly worth the effort.